Does your garden lack character? Would you like to add a romantic, poetic quality to your garden? Or does your garden simply need more structure and design? An effective way to make your garden more decorative and welcoming is to add a garden arch. 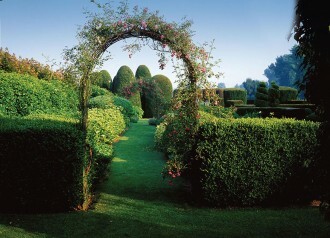 Ideal for making a focal point using climbers, an arch can be a unique addition to any garden. Our trellis arch is perfect for brightening up a garden path or walkway. Use an arch to frame an entrance or garden gate to create an inviting floral canopy that will draw visitors in. A rose arch displaying an array of fragrant climbers will create a charming, cosy seating area. If you wish to span wider paths or garden benches, our strong double-framed arch is the best support for vigorous twining plants such as Wisteria and vines. Metal garden arches are the most adaptable structures for your garden and also the most durable. Our arches are weather-resistant, low maintenance and will last you for many years to come. When used with our lattice panels and posts, you can decorate, define or screen different areas of your garden in a practical, yet highly visually appealing way. Whatever your requirements, a garden arch is guaranteed to add a fresh perspective in your garden.